1985 ਵਿੱਚ, ਸਪਿੱਟਸ ਨੇ ਮੈਕਾਬੀਯਾ ਖੇਡਾਂ ਦੇ ਆਗਾਜ਼ ਲਈ ਇੱਕ ਟਾਰਚ ਜਗਾਈ।. ↑ "International Jewish Sports Hall of Fame". Jewishsports.net. February 10, 1950. Retrieved January 30, 2011. 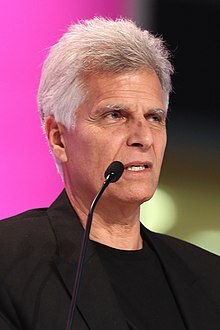 ↑ "Mark Spitz". Doc Counsilman: Making Waves. Indiana University. Retrieved January 30, 2011. ↑ 4.0 4.1 "Jewish Virtual Library. ',Spitz',". Jewishvirtuallibrary.org. Retrieved January 30, 2011. ↑ "Interview with Mark Spitz". CNN. July 14, 2012. ↑ "Mark Spitz – "Swimming Isn't Everything"". Sports.jrank.org. Retrieved January 30, 2011. ↑ "Jewish Virtual Library ',Maccabiah Games',". Jewishvirtuallibrary.org. Retrieved January 30, 2011.